Information, tips and recipes for adding red grapes to your healthy kidney diet. Red grapes are one of 15 foods excellent for kidney health because they have flavonoids in their skin and are good for your heart. 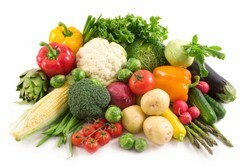 They also help protect from cancer and prevent inflammation. and what I can do with them in the future to improve my health. I don't really think there is much improvement to be had rather than eating a bowlful of grapes for a snack when I need one! Of course, I will find salad combinations I can add them to or continue to add them to smoothies as well occasionally but my favourite is just to wash them and put them in a bowl for snacking at my leisure. It is easy to include red grapes in my diet because they are my favourite ones! I DO even appreciate them as a part of some other veggie and fruit salad combinations too! The only thing I can say about the future aspect is to CONTINUE eating them and just be mindful I don't eat too much (because I also have to watch sugars and fluid retention). At this point in my life though, red grapes are a welcome part of my diet. I don't eat too many because I NEED variety and change up the fruit I purchase for groceries any given week but I DO eat them regularly and am quite happy to! I hope that they will also be an easy and wonderful choice for you! 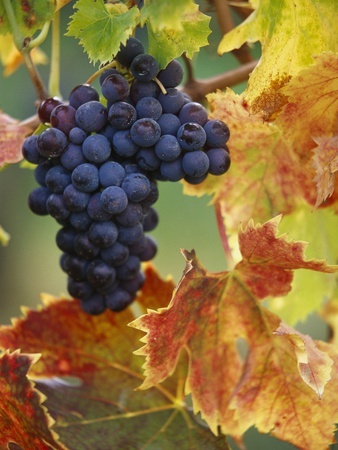 Because red grapes are a watery fruit they work towards keeping yourself hydrated. This is GOOD when you have GOUT issues and need to keep your body hydrated and able to flush the crystallization of high uric acid. I have issues with dehydration much of the time and TRY hard to keep drinking enough water, teas and other fluids but sometimes I have a HARD time with it so I KNOW if I am also eating grapes (or watermelon) I am helping my body get the essential nutrients and FLUID it needs! Mix all ingredients with bacon cooked until it is crispy and then crumbled. Article extolling the virtues of each type of grapes. Food has been a struggle for me for a long while now but I MUST work at this and TRY hard to eat right and healthy and improve as much as I possibly can for as long as I possibly can so I figured if I am struggling with these things DAILY and doing all this work and learning ANYWAY, why not SHARE things that I am learning with others and make their journey a little bit easier for them too. SO, I started these pages as a help BOTH for myself and for YOU. This is a HARD process and journey to wellness and I hope that if even for a moment, even ONE item or idea or trick that I share makes your journey lighter or easier then I have given purpose and meaning to the reasons why or how this has been MINE as well. I have PKD also and try to eat red grapes often but it's hard to find good organic grapes. There’s a general opinion that vegans are a bunch of pasty-faced, undernourished, eccentric hippies. However, none of these stereotypes is accurate.